Scientific Research Programmes (SRPs) are transformative scientific initiatives that address compelling issues and emerging frontiers in Antarctic or Southern Ocean science of regional and global importance. SRPs are SCAR’s highest level of investment in science. SRPs advance scientific questions that are expected to require sustained efforts by international teams of scientists and researchers for six to eight years. 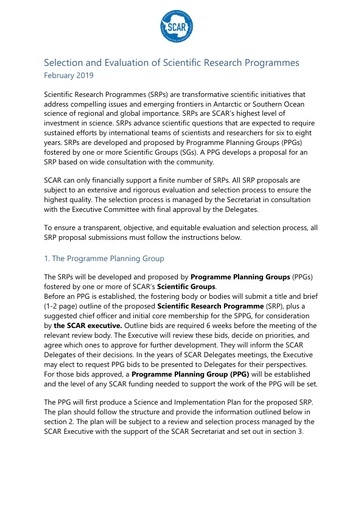 SRPs are developed and proposed by Programme Planning Groups (PPGs) fostered by one or more Scientific Groups (SGs). A PPG develops a proposal for an SRP based on wide consultation with the community.